Why Collaborate with Amigos Rotary? On March 7, 2017, the Amigos welcomed Kelsey Brenn (Board member) & the Girl Scouts of America in order to learn about all of the great things they are doing in Milwaukee and all over the nation that inspire girls to achieve their dreams! 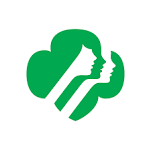 In particular, we learned about their Latina Initiative, with a new program structure that may become a groundbreaking example for various other Girl Scouts community Programs. What is more, they shared a little bit about the cooked program and some of the delicious new treats that they have this season! Learn more at: https://www.gswise.org.